In this BBC article here, the NAO claims that broadband rollout is too slow, that BT is the only contractor, that it wont hit the 2015 target and that its going to cost too much. 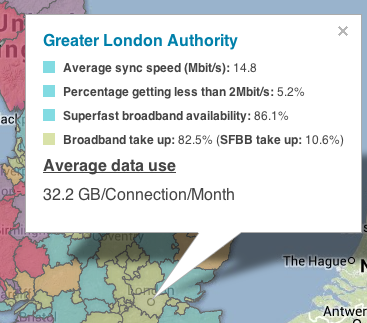 ZERO percent superfast broadband for Aberdeenshire, and 86 percent for Greater London. The Oil Capital of Europe has ZERO. I think we can pretty much write off BT as a reliable supplier of superfast broadband, despite their monopoly of rural areas.